"Our overall experience with John Strand has been excellent. " Imagine the scene. The sun is setting in an amber sky after a day exploring the beauty of nature and the wonder of the local wildlife. You are sitting on the deck of your safari tent overlooking the verdant hills of the forest beyond. Camping in the wild but wait, there’s no need to board a plane because the wonder of the safari is now available right here in the UK thanks to Ready Camp. 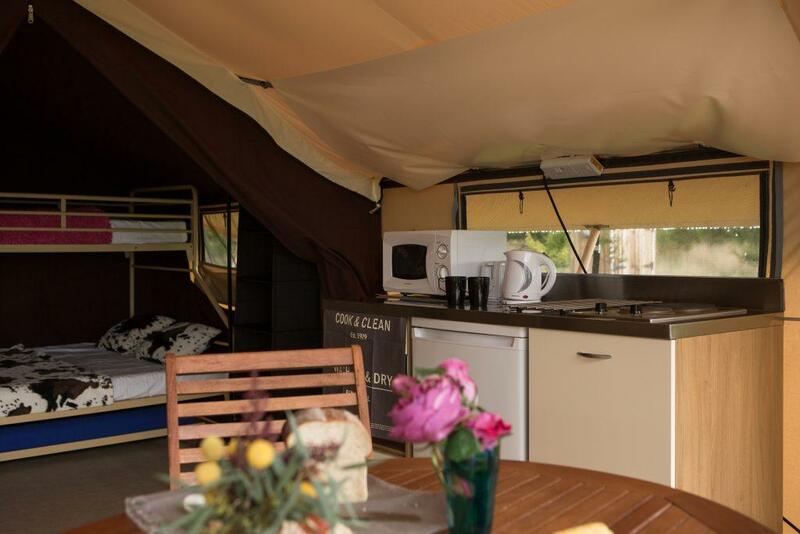 Not only can you have the fun of staying in a safari tent but there’s no need to worry about lighting the camping stove as John Strand Kitchens have teamed up with The Camping and Caravanning club to fit-out their ‘glamping’ safari tents with their own kitchenettes. The Camping and Caravanning Club established in 1901 is the world’s oldest and largest Club for all forms of camping. Their aim is to help people enjoy the simple pleasures that camping can bring. As a not-for-profit organisation, every penny spent with the Club is invested back into improving facilities and services for its members. In a bid to ensure members were being offered a range of options they decided to introduce glamping tents to their network of campsites. The safari tents offer a camping experience in a spacious canvas tent all without the need to pitch-up. In order to offer a true ‘glamping’ experience a kitchen was required that would be free-standing, easy to maintain and compact in size. After online research and looking at other kitchen suppliers The Caravanning and Camping Club found John Strand’s bespoke ‘made-to-measure’ option would provide everything they needed. “The design and selection process was excellent. Delivery and ease of installation has been very straight forward. Our overall experience with John Strand has been excellent. We initially had a few issues with the microwave which John Strand quickly resolved for us. To find out more about the Ready Camp Glamping Safari tents visit: https://www.campingandcaravanningclub.co.uk/readycamp/.